The welcoming practitioners at Vitaphysical focus on improving your health and happiness, delivering osteopathy and massage treatments from their clinic close to Newbottle, Tyne and Wear. Osteopath Jason works alongside a highly experienced team of massage therapists to treat painful conditions such as frozen shoulder and knee and hip pain, relieving pain and restoring function and movement. We treat patients with all kinds of issues – from headaches and posture problems through to severe back pain and sciatica. You can find a more comprehensive list of the conditions we work with on our what we treat page. If you can’t see your individual problem listed please get in touch for a chat with Jason, we are likely to have successfully treated symptoms like yours and will able to match you with a course of treatment and therapist by learning more about your situation. We provide a wide range of massage treatments for patients from Newbottle and beyond, including full body massage, deep tissue massage and Thai massage. In addition, our sports massage therapist Kirsty works with expectant mothers to soothe pregnancy pains and encourage relaxation. Many of our patients come to us after undergoing treatment elsewhere with limited success, either through attending physiotheraphy or perhaps visiting a private chiropractor. We’re always pleased to be able to offer them effective treatment and we’re exceptionally proud of our high customer satisfaction levels. 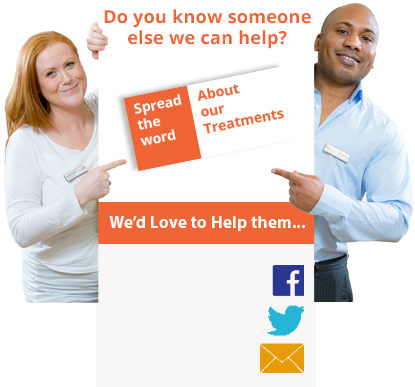 You can read some of our patient success stories on this website. We’re so confident we can help you that we offer a 100% money back guarantee. There’s discount available for first time visitors too, just visit our discounts page to download yours. If you would like to book an appointment for treatment at Vitaphysical you can choose to use our online booking system, to call us on 0191 565 8886 to discuss your requirements or email your request to info@vitaphysical.co.uk and we’ll get back to you. Vitaphysical is located on John Street, Sunderland, around a 15-minute journey from Newbottle along the A690. Free patient parking is available at our clinic and we’re based just a short distance from Sunderland train station. For more about our location, visit our how to find us page.